If you’ve every played Fallout, and figured you really wanted to eat those hundreds-years-old deviled eggs, or have some molerat bits, then this is the cookbook for you. 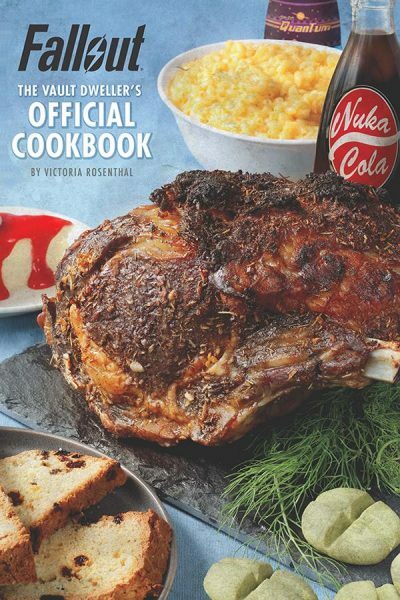 Granted, these dishes won’t be irradiated, and there probably isn’t a recipe for Blotafly roast, but I’m personally eager to see what takes the place of Deathclaw in this recipe book. This is a pre-order item, and is supposed to release October 23rd, the day of the great war. This entry was posted on Sunday, August 5th, 2018 at 00:09	and is filed under Media, Video Games. You can follow any responses to this entry through the RSS 2.0 feed. Both comments and pings are currently closed.